So, its time to launch another competition. 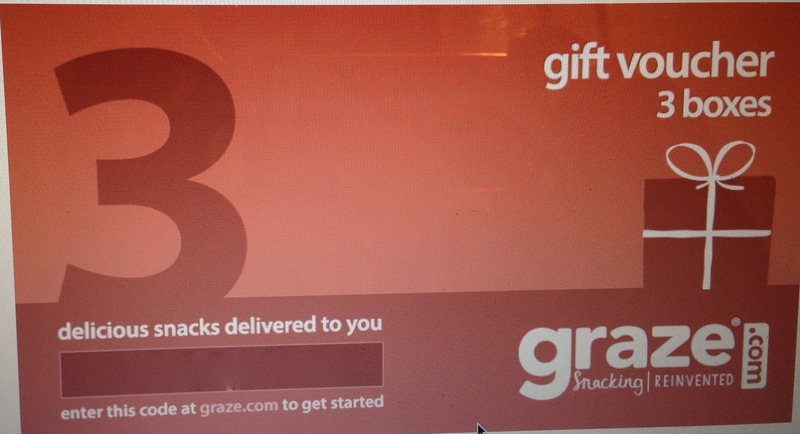 I have been given a gift voucher to allow someone the chance to try 3 Graze boxes. Whoopee, I hear you say! If you are not sure what a Graze box is, it’s a snack box that is sent to you via the post. Each box would normally cost you £3.99, including delivery, in which you get four individual healthy, tasty snack pots. If you are lucky enough to win, I will email you a code, which will allow you to claim 3 free boxes. It’s all completed online and there are over 100 different recipes to choose from, all healthy and nutritious. The graze box fits through a standard letter box, so can be delivered nationwide (UK) to either home or work. In addition to donating, I think it is important to raise the awareness of MND/ALS. So please share my blog, follow if you are not already, and enter a comment below saying you have shared/followed. For every share/follow, I will add your name to the list. I will use a random name generator to choose the winner on Friday 10th April 2015.